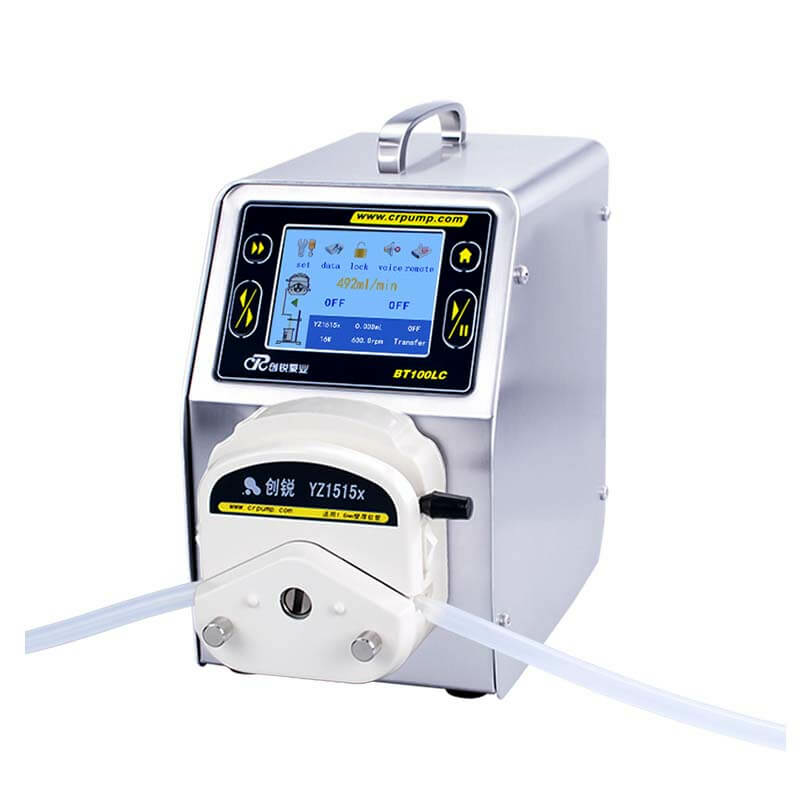 cr peristaltic pump features-Peristaltic pump,dispensing peristaltic pump,programmable peristaltic pump manufacturer - Chuangrui precision pump Co., Ltd.
1, three highlight digital tube display speed, with full speed function, can be used as fast full or cleaning peristaltic pump. 2, the use of "double CPU" control, drive control separation, computing speed, stable, high transmission accuracy. 3, abundant external control functions are available.For example, DC12V output, easy to directly connect a variety of sensors, capacitive sensors, liquid level sensors, Photoelectric Sensors; product hardware reserved for a variety of circuit interface, to the maximum extent to meet the special needs of customers; can be equipped with a wireless remote control. 4, the use of stepper motor speed control, not affected by changes in load, high torque, low power consumption, adaptability. 5, the drive circuit performance, good heat dissipation, low noise, smooth operation, with power-down memory function.peristaltic pump internal circuits are made of three anti-handling, superior anti-interference characteristics, wide voltage design, suitable for complex power supply environment.